I don’t even need to tell you guys that I’m obsessed with animals. 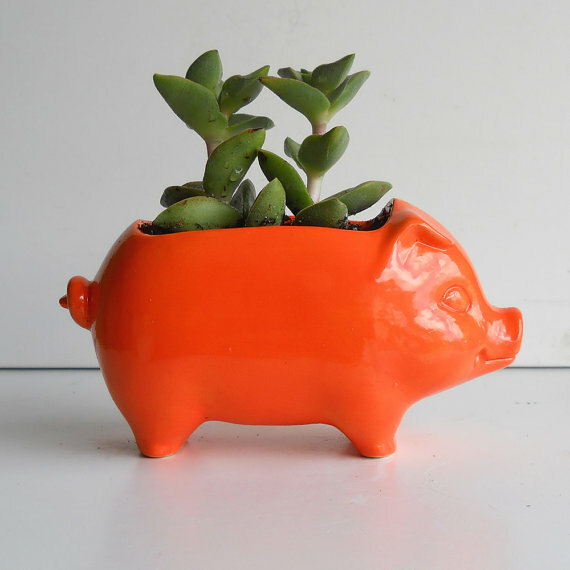 So when I saw these on etsy- I melted inside. Perfectly quirky. Buy this purple beauty here. This one is only $35! I think he’s the one for me. Buy it here. 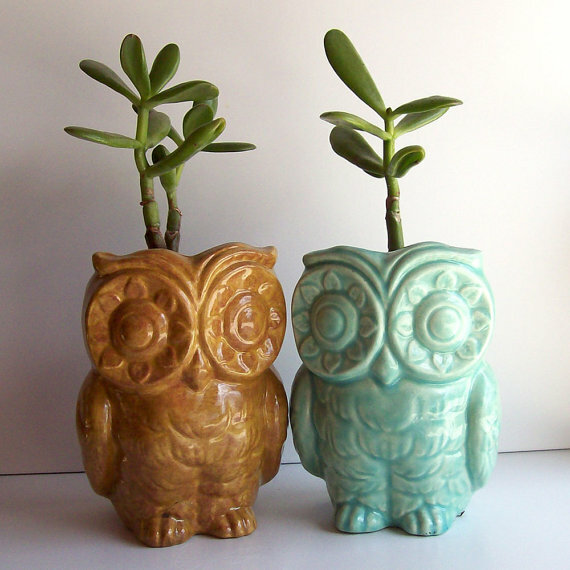 Check these cute owls ones out here. 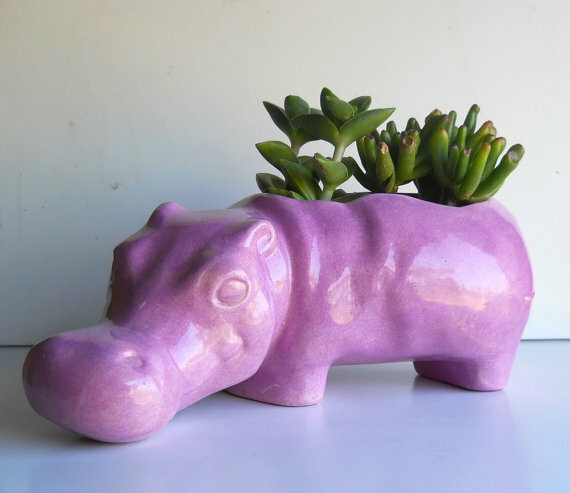 This Etsy dealer has all sorts of wonderful ceramics- take a look at all her cute work here. I think these would be perfect for gifts. And if you buy more than one, the shipping is only $1. Eee!